If your garage door has seen better days, turn to Toms River Door & Window to have a new one installed. Having been in business since 1971, we are the longest standing exterior remodeler in the area. Our decades of experience installing garage doors have given us the knowledge and expertise needed to provide the perfect solution for your home. We’ll work with you to find a style that will function smoothly for years to come while also fortifying your garage and improving the curb appeal of your Jersey Shore home. Our garage doors are insulated to provide your home with added protection against the heat and cold. Your new overhead door will prevent outside air from getting into your garage, and subsequently, your home. This will not only make your home a more comfortable place to live, but it will also reduce your HVAC system’s workload, as the unit will no longer have to battle against intruding air to maintain a stable interior temperature. As a result, you could see a decrease in your monthly energy costs. Plus, your garage itself will stay warmer in the winter and cooler in the summer, so you won’t have to brave the outdoor temperatures when getting into and out of your car. 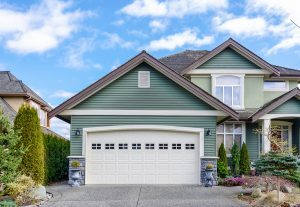 Of course, you want your garage door to complement your home’s exterior design. Our garage doors are available in several different woodgrains, colors, and stylistic options so that you can customize your new overhead door and create the perfect look. Our team will be happy to show you samples and provide recommendations as you make your selections. Don’t let an outdated garage door impact your home’s value; contact Toms River Door & Window today to have a customized solution installed. We would be happy to schedule a free consultation at your Jersey Shore home so that you can learn more about the garage doors we offer. Or, visit our expansive showroom, conveniently located just off the Garden State Parkway.